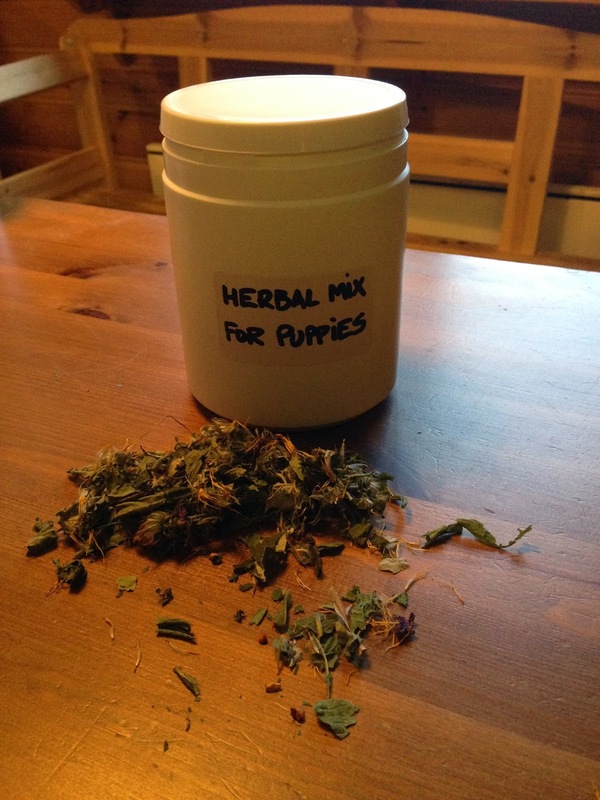 Just a few days ago I was re-filling the herbal supplement mix for the puppies and I´ve decided to share it on the blog since I was already in the process of mixing the herbs. As some of you know, I am a big fan of herbs for animals and humans alike, be it for their nutritional values or medicinal properties. 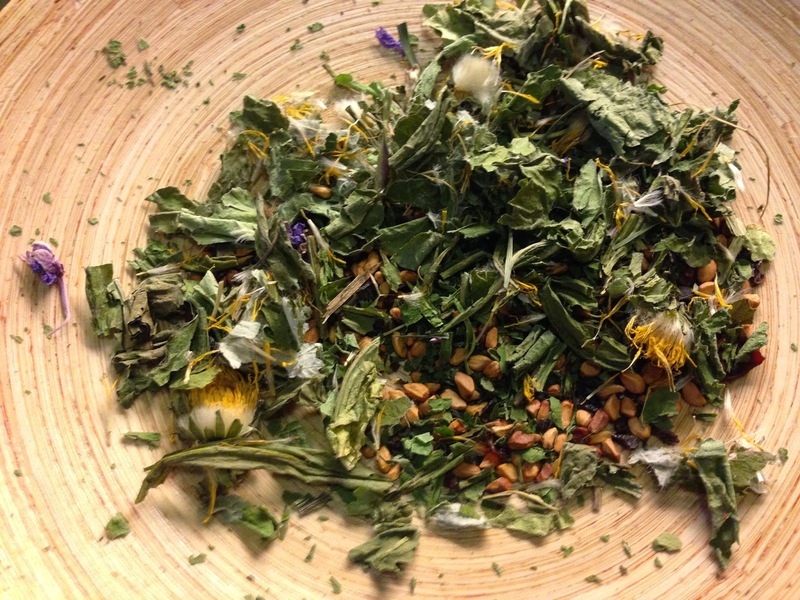 I´ve been working with herbs for years, I grew up surrounded with a lot of folk knowledge from my family about herbs and foraging and when I get to think of it, I can honestly say that I´ve been using and working with herbs since I was a teen girl. Currently I am working my way towards becoming a certified herbalist and I am very excited about that. 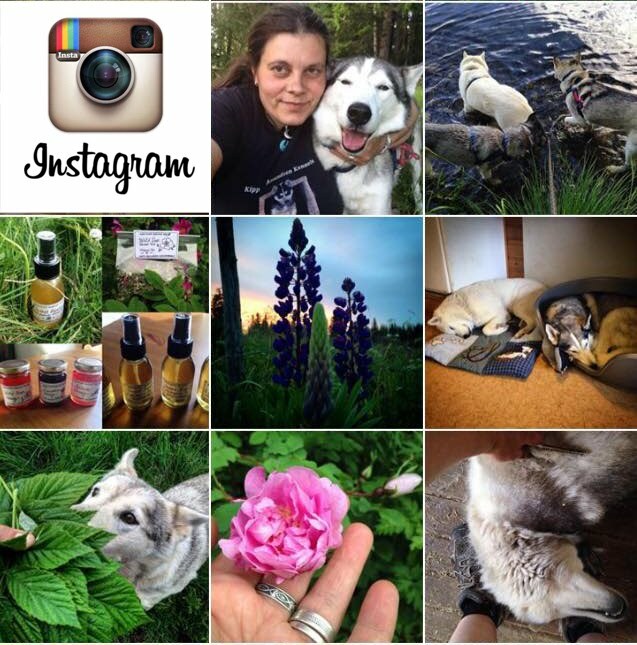 I consider myself (and my dogs and family) very lucky to be homesteading in the wilderness and having so many beautiful herbs growing literally in my backyard, that fill our dishes and the home pharmacy, and which I can call truly organic and ecological. 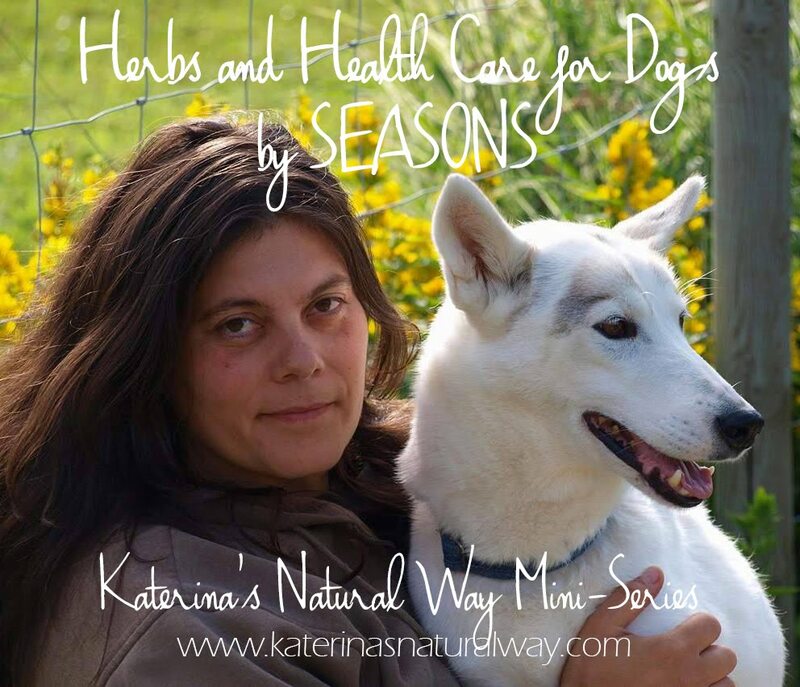 The herbal blends I make for different health issues, nutritional requirements and special needs of our canine and feline family members are plentiful and I want to encourage you to give it a try yourself as well. All you need is a good, trustworthy recipe or formula to follow and to know which herbs are safe to use and for how long periods of time, etc. Otherwise there is no science to it, just a lot of common sense. 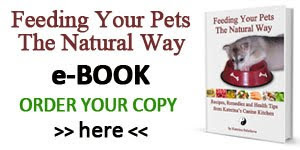 As you probably also know, I am not a big fan of raw vegetables and fruits as part of dogs´ natural, raw diet, especially as a source of vitamins, minerals and antioxidants. Further more, I am strictly against synthetic, lab made vitamin/mineral premixes and nutritional supplements. There are many good reasons for it, supported by many accomplished natural nutritionists worldwide. It is just not the topic for today´s post. 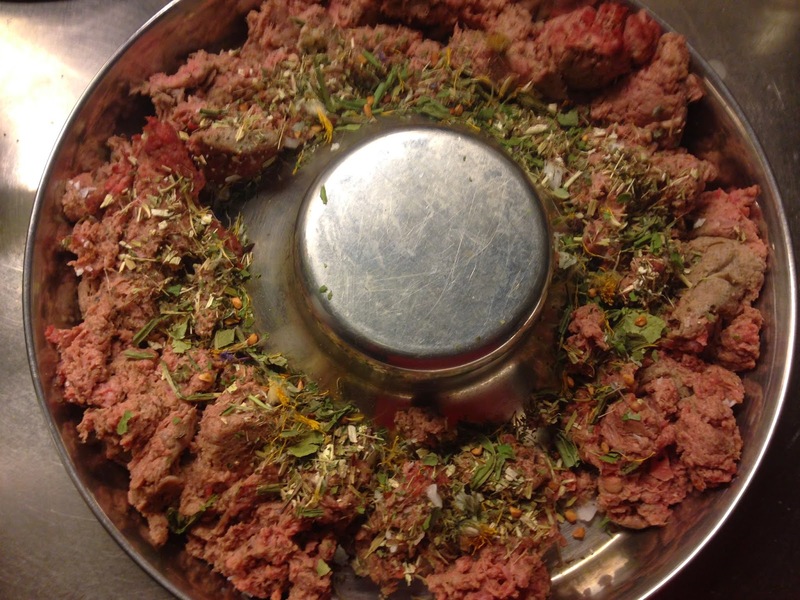 I trust herbs and spices to be much more natural and rich vitamin, mineral, antioxidant and other important micro-nutrient sources, better utilized by the carnivores that dogs and cats are. 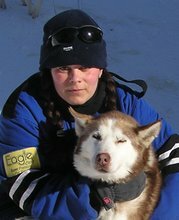 That is why herbal blends, kelp, Islandic sea corrals and spices are an essential part of my dogs´feeding program here at Kipp d´Amundsen Kennels, and my experience and results over the twenty plus years speak for itself. 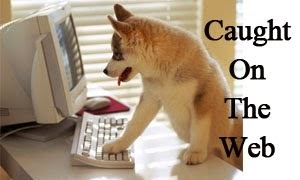 With puppies, one has to be careful with any type of supplementation and this counts for herbs even more. 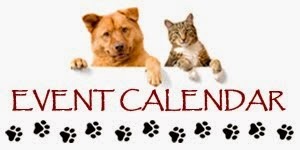 But don´t worry, there are several that are absolutely safe for puppies to use on daily long term basis. And these are a part of my Herbal Supplement Mix For Puppies. 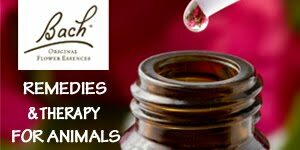 The blend targets an optimal intake of organic vitamins, minerals, antioxidants, bioflavonoids, essential oils, fibre, and other important nutrients, to support the puppies´ growth, immune system, healthy development of bones, joints, muscles, proper function of digestive tract and so much more. If you are using fresh herbs, you need to pick them the same day you are feeding them (otherwise they are not fresh anymore :)). Dried herbs have the advantage of being able to be stored for a while. 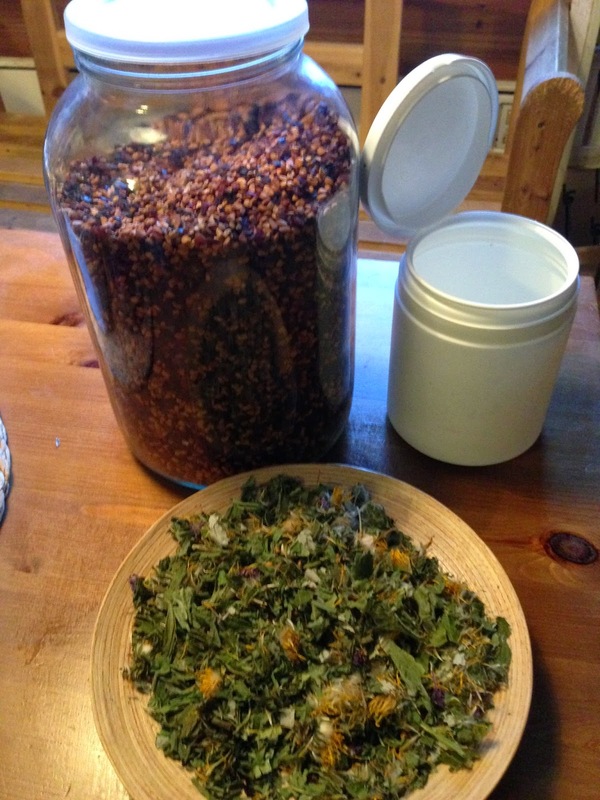 I use fresh herbs in the summer (except for the rose hips, as it´s not their vegetation time yet, and I use them dried all year round anyway), and dried ones from fall till the end of spring. Make sure to use a dark glass (or store the herbs out of light) or plastic container with a tight closing lid and store them on a dry place. 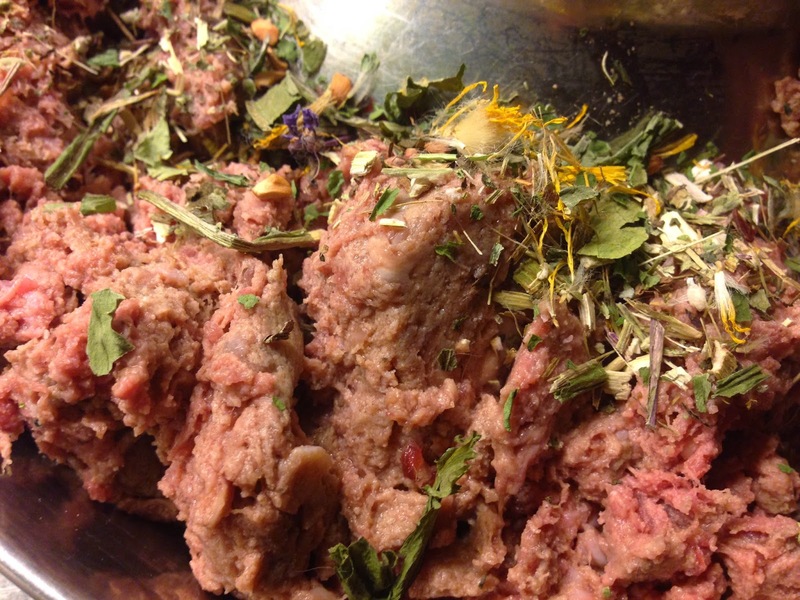 Crush the herbs and mince them in your fingers to create small pieces and/or powder. Mix all thoroughly together and put in the jar or container. I use 1,5 tea spoons 2x day for our three little munchkins who are 12 weeks old right now. 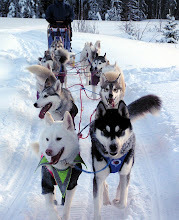 They are Siberian Huskies, so a medium sized breed with the adult weight around 20-25kg (around 50lbs). So about 1 tea spoon of herbal mix per puppy per day. With larger breeds you can double the dosage and with smaller breeds give half of the amount I use. You can start adding the herbal blend to your puppies at the age of 8 weeks, and rise the amount given adequately as they age and grow. And how do you administer them? If you don´t have a clean area where to pick your own herbs, it is a much safer and better option to buy dried herbs at a quality, trustworthy herbalist store. 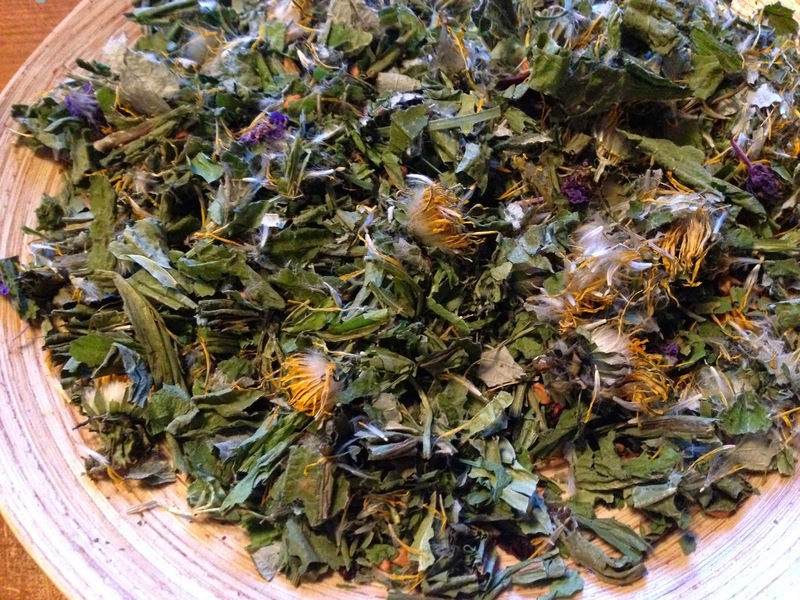 I highly recommend Mountain Rose Herbs for their high quality and so much great info you can get from them, but unfortunately, they don´t ship to Europe. Luckily, another great online store where I buy many herbs and spices is Byliny Miskes from Czech Republic, which is a good option for Europeans.